Just because it’s winter, that doesn’t mean that you stop taking care of your lawn. You want it to look luscious and healthy come spring and warm weather, right? So you have to take care of your landscaping during the winter the best you can. What you do around the lawn during winter can affect its health in spring and summer. Here are the best ways to protect your winter lawn so you can enjoy it during the spring and summer. Before it gets too cold, you should give your lawn a thorough fertilizing. 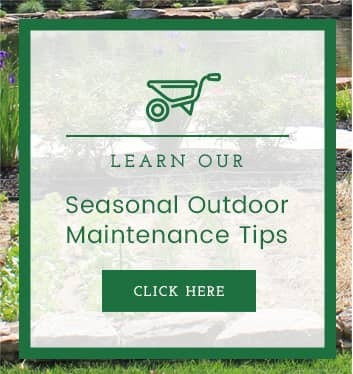 All of the nutrients that might have been lost during the hot summer months are replaced, and the winter lawn fertilizer feeds your lawn’s root system all winter long. The stronger the root system, the better the chances your lawn will withstand the stress and possible drought of the summer months. Winter fertilizer is one of the most important things you can do for your lawn. It will help it rebuild after a long, hot St. Louis summer. It’s important to mow your lawn before winter to keep it healthy throughout these cold months. You’ll want to mow your lawn before the first frost of winter so that by the time winter rolls around, the blades of grass are 2 to 2.5 inches in height. This height reduces the risk of mold and fungus that can grow when taller grass is matted down by snow and ice; shorter than this, though, can affect the grass negatively. When grass is cut too short, it must use more nutrients to grow, even when it’s cold, which can affect underground growth. This can have the effect of stressing your grass to the point that it dies off entirely. There’s a lot of competing advice out there about whether or not you should rake your leaves during winter. While it’s true that a few errant leaves here and there aren’t going to ruin your lawn, it’s best to remove any excessive fallen leaves. Having too many leaves on your lawn throughout the winter can promote the growth of “snow mold” and create brown spots on the grass. Once the leaves are raked, skip the plastic bags and put some in your garden. Earthworms can eat the leaves and eventually add much-needed nitrogen and microbes into your soil. Your grass could get hurt if you walk on your lawn repetitively in the same areas. That route you take from the car to the front door will likely wear thin if you don’t mix it up or install a walking path. Maybe you already knew this and you avoid walking on your lawn at all. But after it snows, it can be harder to tell where the driveway ends, and the lawn begins. Before the snow starts, use stakes to make the edges of your driveway and sidewalks, so when you remove the snow, you will only plow the right areas and not the lawn. You’ll also have a clear idea of where to spread ice-melting chemicals or salt, so you don’t injure the grass. If you keep your sidewalks clear of ice and snow, you and your guests won’t be tempted to cut across the yard, further protecting your grass from excess traffic. Need help with your winter lawn care? 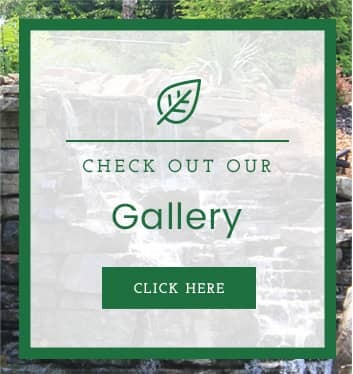 At Allen Outdoor Solutions, we aim to be the best landscapers in the St. Louis area. We’re reliable, work hard, and deliver the highest quality services. If you need help maintaining your lawn before and during the winter months, give us a call. Let’s see what outdoor solutions we can provide for you. 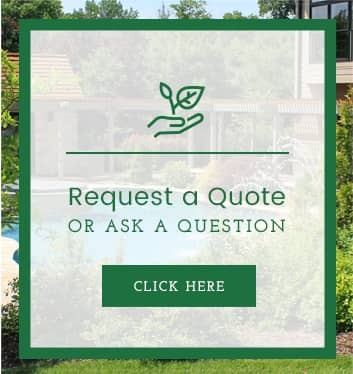 « When is the Best Time for Fence Installation?